The Channel Partners Conference & Expo is upon us, and to celebrate, Craig and Kevin welcome their old colleague, Rick Reed, now heading up sales for Avant in the master agent’s South Central region. Also on the show is Skyler Ditchfield, CEO of GeoLinks, a first-time Channel Partners exhibitor, who talks about his company’s huge growth what they have planned for #CPExpo. All that, plus the guys break down a few of the highlights of the upcoming conference and share some deep thoughts — metaphors that tie rap music into the Channel Partners show. Yes, rap. He didn’t just say what I think he did, did he? Camarillo broadband provider GeoLinks announced that it had acquired Huntington Beach-based internet service provider Vectus in a cash and stock deal March 20. The deal brings Vectus’ fixed wireless network and Southern California customer base to GeoLinks, as well as augmenting its team with key staff members, the company said in a news release. Company migration is expected to begin immediately, Ditchfield added, helping GeoLinks build out its ClearFiber network. Customers should not expect to experience disruptions in service during the transition, the statement said. GeoLinks debuted at No. 6 on the Pacific Coast Business Times 50 Fastest-Growing Companies list in 2017, and ranked No. 640 on the Inc. 5000 list of fastest-growing companies. The company reported revenue of $8.8 million in 2016. The two companies had “synergistic beliefs,” said David Saylor, president and chief technology officer at Vectus, making it a natural fit. The companies did not disclose specific financial terms of the deal. California’s fastest growing telecom, GeoLinks, announces acquisition of wireless Internet provider Vectus. GeoLinks is thrilled to officially announce its acquisition of Southern California fixed wireless broadband provider, Vectus. The acquisition includes an outright procurement of the ISP’s robust fixed wireless network, key staff, and existing customer base ultimately expanding GeoLinks’ existing ClearFiber™ network and coverage map. 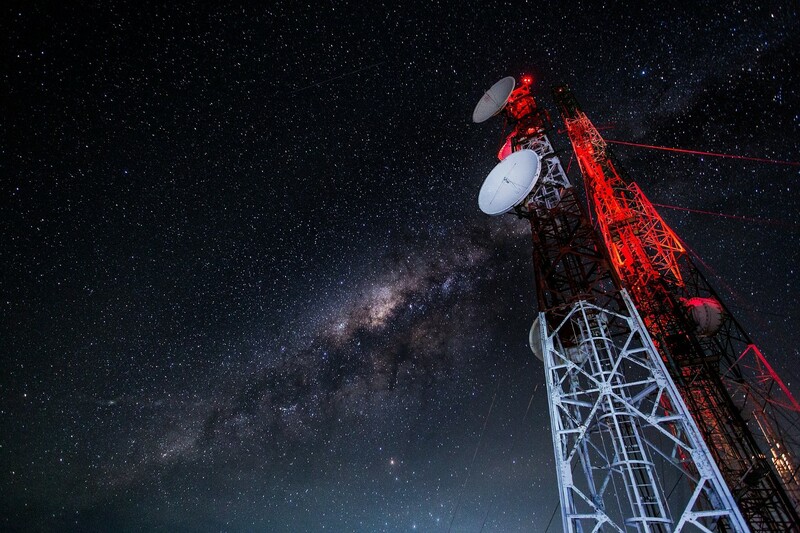 Founded by seasoned industry professionals in 2006, Vectus has become known as one of California’s leading providers of Ethernet over fixed wireless Internet services. Presently, the Vectus network offers dense coverage throughout Orange County, Riverside, San Bernardino, and Los Angeles Counties. Both Vectus and GeoLinks’ existing clients will encounter no disruptions of service during the network transition. GeoLinks looks forward to announcing further details on increased network offerings in the upcoming months. Headquartered in Southern California, GeoLinks is a leading telecommunications company and competitive local exchange carrier (CLEC) public utility, nationally recognized for its innovative Internet and Hosted Voice solutions. Named the Fastest Growing WISP in America, GeoLinks delivers Enterprise-Grade Internet, Layer 2 Transport, Hosted Voice, and both Public and Private Turnkey Network Construction expertly tailored for businesses and Anchor Institutions nationwide. Recognized as a thought-leader in closing the digital divide, GeoLinks proudly sits on an array of national boards, coalitions, and working groups including the Schools, Healthcare & Libraries Broadband (SHLB) Coalition, the Wireless Internet Service Providers Association (WISPA), the Broadband Consortium of the Pacific Coast (BCPC), and the FCC’s Broadband Deployment Advisory Committee’s (BDAC) Streamlining Federal Siting Working Group.In 2018 GeoLinks was awarded the Corporate Partnership Award by the Corporation For Education Network Initiatives In California (CENIC) for serving the research and education community in California. Who is the best businessman of 2017? Here’s a round-up of well known business leaders, as well as some you’ve never heard of, to mark 2017 as a year to remember among an elite circle of entrepreneurs and visionaries who are out there doing things right (and different)! The 53-year-old founder and CEO of Amazon became the world’s richest man this year. His fortune increased by about $34 Billion in 2017 to take his net worth close to $100 Billion; which can be largely attributed to wise investment choices he’s made over the years: getting into ecommerce when an average retailer made $3000 in sales each year, AWS which now runs the likes of Netflix and Airbnb, his real estate insvestments in Washington and Texas which make him the 25th largest land owner in the US according to Land Report, his investments in Uber and Google, products like Kindle and Echo … the list is long. His recent acquisition of whole Foods sent ripples across the retail sector and the company announced a $4.5 Billion content budget for Amazon prime video- the only company that spends more is Netflix. Apart from Amazon, of which he owns 16%; he also owns Blue Origins, a space exploration company and The Washington Post. Bezos is a visionary not only because he launched one of the most successful companies of this century but also because even after more than 20 years in business Amazon still functions like a startup- almost every month it gets into a new category in which it has no expertise. The willingness to try triumphs over the fear of failure. In an age when authenticity is in short supply, Bezos has stuck to his vision of putting the customer first. The journey from a garage operation in 1994 to a wall street darling has been a spectacle to watch. According to professor Scott Galloway of NYU Stern, Amazon Echo will revolutionalize branding. With voice search technology present in millions of homes, Amazon aims to be your only retailer; and with billions of dollars in cash, it seems inevitable. Lin is the CEO of GREAT WINE Inc.. GREAT WINE, Inc., is a company which produces wine to start a new conversation about wine — what is your wine character or “vinotype?” Dani was a former Data Scientist at Microsoft. Under Lin’s leadership, GREAT WINE now collaborates with Tim Hanni, MW (the first American who became Master of Wine), and myVinotype — a smart wine recommendation platform for wine-related businesses and connoisseurs to learn more about clients’ wine personalities. Launched in 2011, myVinotype first started as a website widget and a consumer survey. By 2016, the platform has launched an iOS app, and has become available in eight languages worldwide. All these features are supported by data analytics in order to be more client-oriented. Like many, Danni Lin (B.S., M.S.) had experiences of going into a supermarket, and got lost in massive product lists and ads. She thought how knowledgeable she was in wine affected her likes and dislikes — until she had a conversation with Tim Hanni, MW. Hanni is one of the first Americans to become Master of Wine, and introduced Lin to the scientific concept of “vinotype,” i.e. wine preferences and sensory abilities of people. Lin then transformed from a wine novice to a wine educator who encouraged consumers to speak their mind — what they really enjoy drinking and experiencing. Lin quitted her stable job at Microsoft. But with a strong financial background, analytical expertise, knowledge of advanced technology, and professional knowledge of wine, Lin is taking her business to the next level of growth and expansion worldwide through her extensive international experiences and connections. It is Lin’s hope to introduce the traditions and innovations of Californian winemaking to more clients around the world. Here is a piece of advice from Danni: “Be ready to change for the market.” She said, “I think success lies in the willingness to change, both as a person or as a business. The market will tell you what it needs, and the key to success is to be ready to change — after all, taste does change over time! For example, when GREAT WINE is founded in 2015 in both the USA and China, it was one of the few companies in the industry that successfully caught the changing tides of the Chinese market. Chinese young professionals now prefer affordable wines with traceable origins, and stop chasing after high price tags. By introducing the possibility of comparing tea flavors of pu-erh and jasmine to wines, GREAT WINE carries the mission of introducing the traditions and innovations behind Californian labels to the global market.” GREAT WINE, Inc. is recognized as Best Wine Tasting Experience by Qminder. The company’s CEO, Danni Lin, is honored in 425 Business Magazine 30 under 30. Casto is the founder of Omaha Financial Planners: In 2017, Steve Casto of Omaha Financial Planners created theSMART retirement system. SMART stands for the Strategic Machine Allowing Retirement Tranquility.Why is SMART so important today? It helps retirees maximize the value of their retirement income they receive from the money they’ve saved.Think of saving money for the future like climbing a mountain. Imagine being that poor misguided mountain climber who doesn’t pack the right stuff and doesn’t possess the skills to both climb to the top of the mountain and more importantly get back down safely. Phil is the CEO and Founder of Cohen Architectural Woodworking in St. James, MO (not far from St. Louis). Phil is an amazing individual and worthy of a best businessmen of 2017 recognition. What makes Phil special? Phil comes from hard beginnings. He was a drug addict and suffered from depression. His father committed suicide. Failing at many things Phil found himself on a small farm. He began making birdhouses and toy trucks out of wood as a means of rehabilitation. People liked them and started buying them. He got a business license and eventually started his own firm. He transferred his skills into commercial work. Cohen Architectural Woodworking was born. Phil then started supplying many national companies such as Walmart with millwork and custom wood cabinetry. Today the company has a newly expanded facility that includes 54,000 square feet and some 80 employees. Cohen has clients in all 50 states. Phil is also special with the hiring practices of the company. He believes in giving people a second chance, no matter their background, if they are willing to do the work. Cohen hires a lot of ex-felons and others who would not receive job offers from most corporations. Many of these ex-felons have turned into excellent employees. Some are now in management and executives with the firm. Phil believes he got a second chance at life and is willing to help others turn their lives around. He maintains an open door policy and is always accessible to help any team member. In addition to hiring practices, Cohen is involved in many charitable and social causes. From working with local schools, to establishing optional classes at no charge for employees and their spouses on a variety of topics, to offering an employee a $1,000 bonus when they buy their first home, Phil goes above and beyond to help the communities he serves. For his contributions Phil was recently named the 2017 Business Person of the Year for the State of Missouri by the Small Business Administration. He also works hard to provide a safe workplace and recently won two safety awards for 100,000 work hours without an accident from a national trade association. In addition the company has won multiple awards for woodworking design. Ditchfield is co-founder and CEO of Geolinks.com. Skyler Ditchfield currently serves as the CEO of GeoLinks, the fastest growing fixed wireless ISP in the country, and Inc. Magazine’s 2017 Inc. 5000 NO. 5 Fastest Growing Telecommunications Company in America. Under his leadership, Ditchfield has led the company to record more than 100% growth for six years straight, and is on track for a seventh. In 2017, Ditchfield spearheaded GeoLinks’ efforts in obtaining its status as a California Competitive Local Exchange Carrier (CLEC) public utility, allowing the company to expand into the national marketplace. Furthermore, Ditchfield successfully completed the company’s first ever acquisition allowing GeoLinks to expand its service offerings. While not yet publicly announced, Ditchfield will close out 2017 with another massive acquisition under his belt, officially making GeoLinks the market leader in its’ space. Smith is the Founder and Executive Director of the Dovetail Project. He has developed an organization that works to give young African-American fathers — ages 17 to 24 — the skills and support they need to be better fathers for their children and better men in the Chicago community. Smith designed the program based on his own experiences, which included being incarcerated as a teenager, furthering his education, finding employment, and becoming a father at age 20. Now at the age of 28, Smith has been named 2016 Top 10 CNN Hero and most recently a Steve Harvey Hero, Civic Leader for The Obama Foundation and named 2018 Forbes 30 Under 30. The Dovetail Project’s 12-week curriculum includes workshops focused on teaching vital parenting skills and life skills. Over the course of the program, students receive training to finish their education and seek employment. Workshop facilitators also educate students on felony street laws — introducing life-saving methods to help them avoid conflict and incarceration. To date, 337 young men in Chicago have graduated from the program since its founding in 2009. Rob is the founder of Best Seller Publishing, the definitive leader in authority marketing and business growth strategies using a best selling book. Rob is recognized for his expertise in helping coaches, consultants, and entrepreneurs to Publish. Promote. Profit. (TM) with their own Best Selling books. His Company has consistently yielded tremendous results for our clients, usually with immediate new opportunities for speaking engagements, free publicity and leads and sales. • Write and Publish the ideal book that positions them as a thought leader in their field. We help to dial in the right audience, create the hook, title and table of contents before working with our award winning ghostwriting team. • Then we create the cover, design the interior and exterior, format for digital and soft cover version and get ready for the promotion phase. • Our next step is to promote our authors new book via press releases, paid advertising and massive social media exposure to create our next best selling author — GUARANTEED. • We don’t stop there though. We now begin to book our new best selling author on TV, radio, blogs, podcasts and speaking engagements. All this is DONE FOR YOU service and it is all guaranteed. BSP has published best selling books for former U.S. Ambassadors, Fortune 500 C — Suite executives, financial advisors, attorneys, dentists, doctors, chiropractors, hollywood stuntmen, environmental scientists, coaches, consultants, professional speakers and a dozen other industries. Doubet (pronounced Doo-Bay), founder of Door, a tech-enabled flat fee brokerage that is disrupting the real estate industry. Door charges homeowners a flat rate of $5,000, compared to the traditional 6 percent commission fee, for its brokerage services. Last year, home sellers saved an average of $15,000 under Door’s model. Alex explained to The Dallas Morning News that the “idea came to him after his mother sold her two-story converted duplex… for $857,000 in the conventional commission way. She didn’t get so much as a thank-you note, much less a bottle of wine, from the two Realtors who pocketed a combined $51,400. “It was a bigger commission than the average household income in Dallas. It was nuts,” says Doubet, who has already been involved in several successful early ventures and a couple of real estate flips. “It was a presumptuous transaction. And that ticked me off. Alex would be happy to discuss the flat fee brokerage model — and how Door is expanding into new markets, including Austin and Houston. We have enjoyed amazing growth. We sold more homes last quarter than we did in the entirety of 2016. Our customer satisfaction is industry-leading with an NPS near 80. These are proof points that the market is beyond ready for a better way in real estate. The recognition that the rules are now different for sellers, and that buyers expect an altogether different experience really play in Door’s favor. This was never about being a discount brokerage. This is about aligning the customer experience with the value delivered. Our innovation is in both process and technology. There just is not a way to improve customer experience with flat fees unless you look at it differently. We look at the world through the Seller’s and Buyer’s eyes, not as a traditional Realtor. 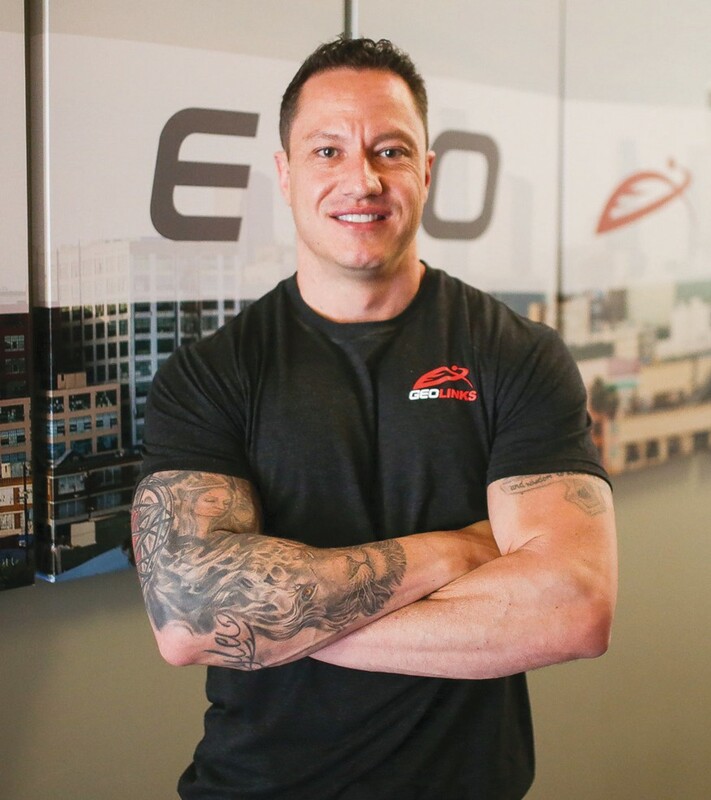 Alex began his career at US Road Sports (USRS), an endurance event company that owned over two dozen events with over 120,000 participants across the country. USRS was sold to Life Time Fitness in the beginning of 2014. At USRS, Alex was the Director of Finance. Subsequent to USRS, he was the Chief Operating Officer and Junior Partner of Advantix Marketing, a search engine marketing and optimization agency and a member of the 2015 Inc. 5000 list. 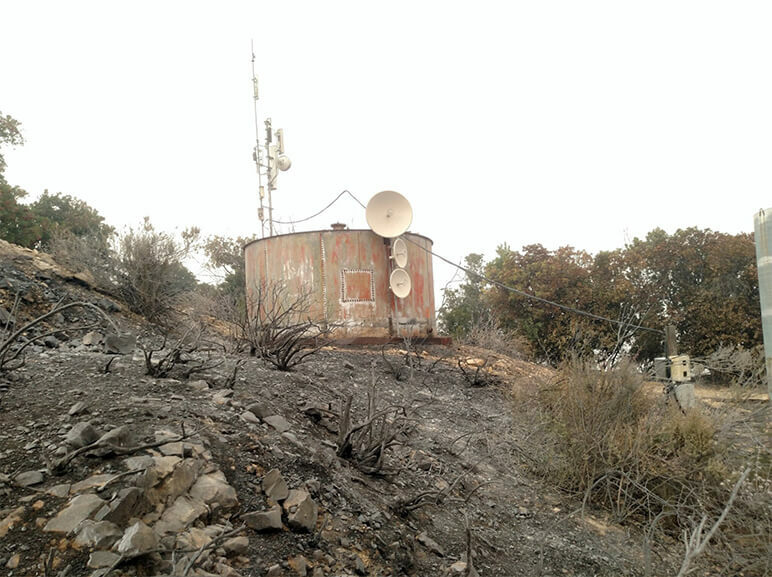 California-based GeoLinks is working to replace towers burned in the wildfires. That’s key, as the latest news indicates the return of powerful winds is making the Thomas fire dangerous again. GeoLinks is based in Camarillo, which is in Ventura County. The company has hundreds of telecom towers in Ventura, Santa Barbara and Los Angeles Counties. 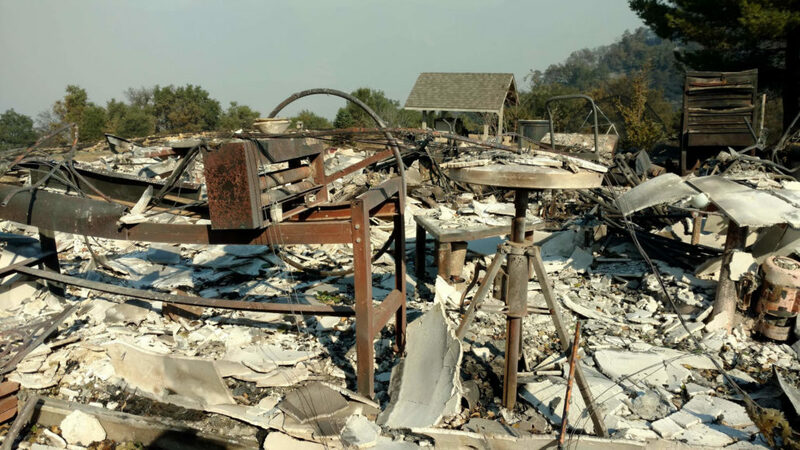 GeoLinks personnel battle flames as they work to rebuild burned down sites and restore service, according to Marketing Director Lexie Olson. 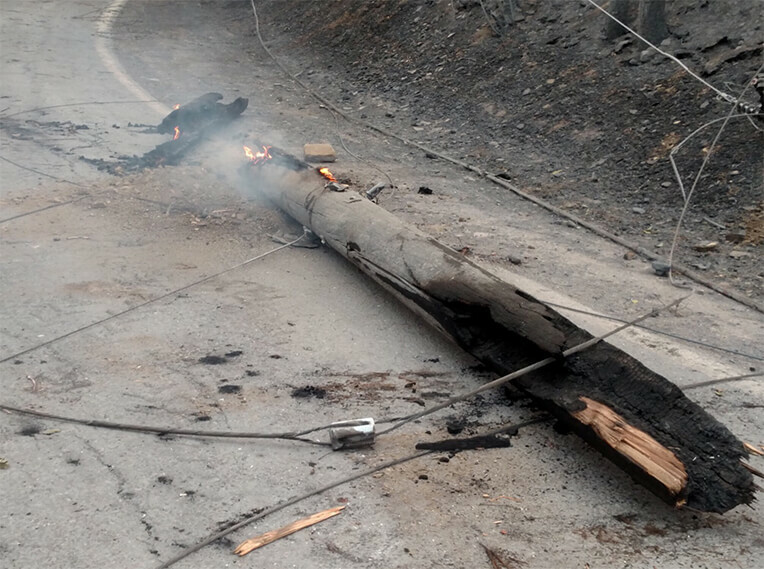 “Driving through Ventura was pretty surreal, lots of smoke and multiple fires visible from the street,” she wrote in a blog post, sharing the personal account of a GeoLink infrastructure technician. 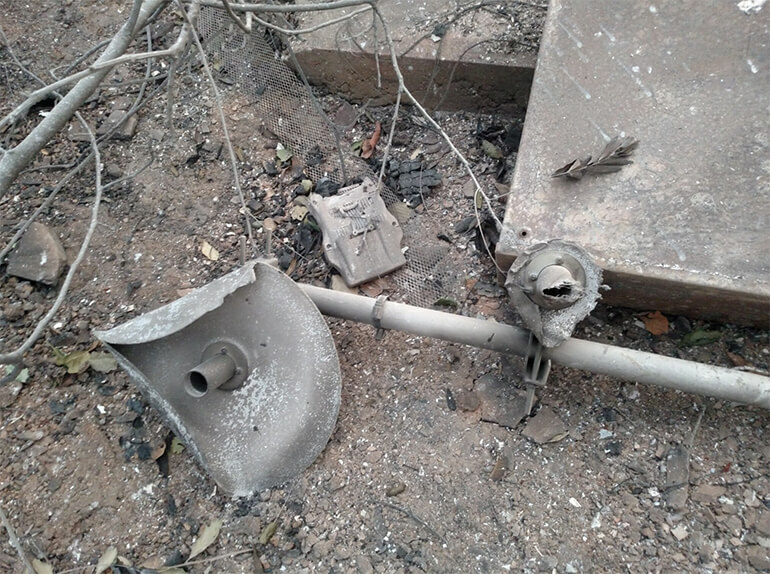 “Driving up to the actual tower was disheartening at first, just because of how much was burned; one of the posts holding up the gate was completely destroyed, leaving the gate lying on the ground. It was there we first noticed a fence post smoking…but we continued on,” according to the account. 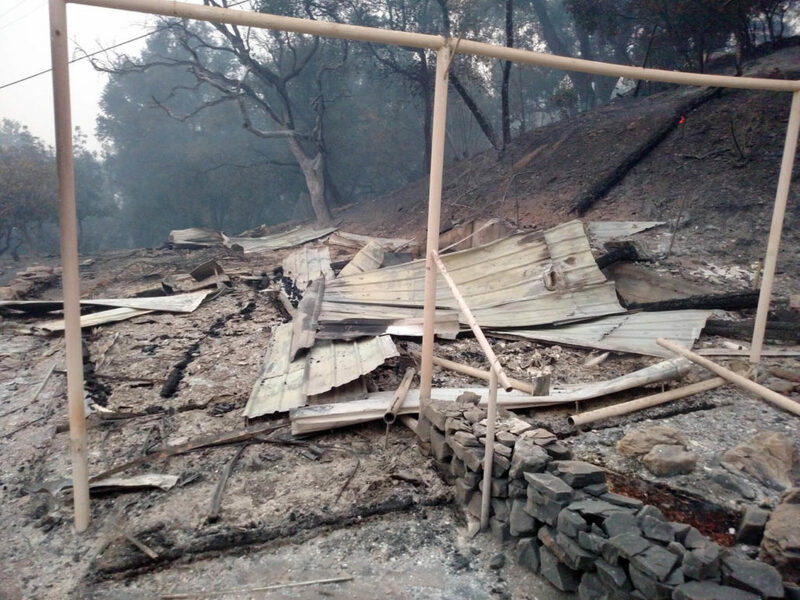 The crew got the destroyed site back up in a couple of hours but as they began their trek down the mountain, they noticed the fence post they saw smoking on their way up the mountain grew “to multiple en-flamed posts, threatening the surrounding area. We immediately turned around, went back to the tower site where we had stored a fire extinguisher, and returned to put out the fires. It was a real-life example of how quickly these fires can spread,” according to the infrastructure technician. 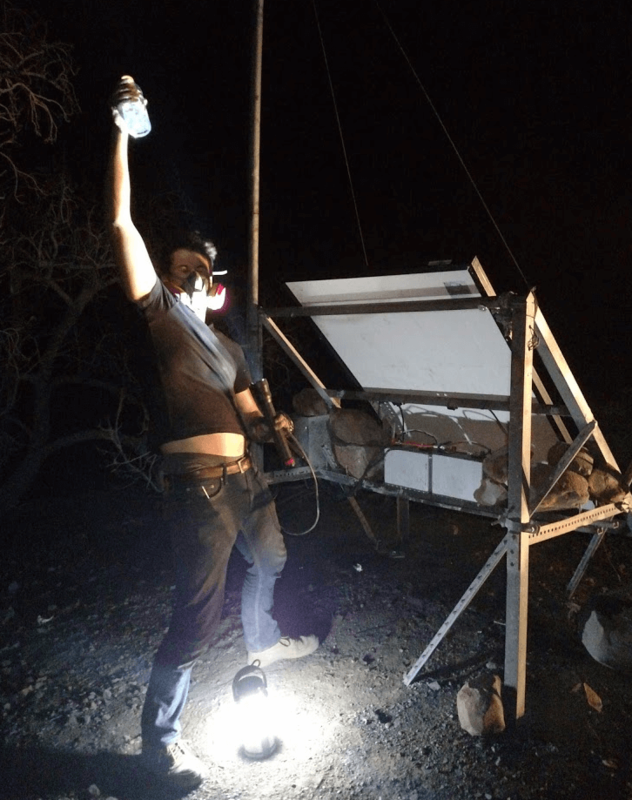 The GeoLinks team, some of whom lost their homes, repaired 12 destroyed sites throughout Ventura and Ojai as of December 14, accounting for more than 500 square miles of coverage area. They continue this work today. 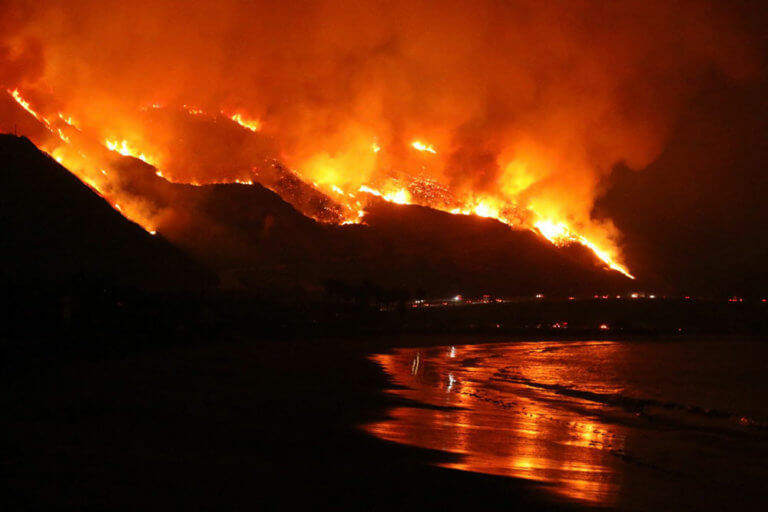 The Thomas Fire is a massive wildfire burning in Ventura and Santa Barbara Counties. The fire began north of Santa Paula, near Steckel Park and Thomas Aquinas College, on December 4, 2017. 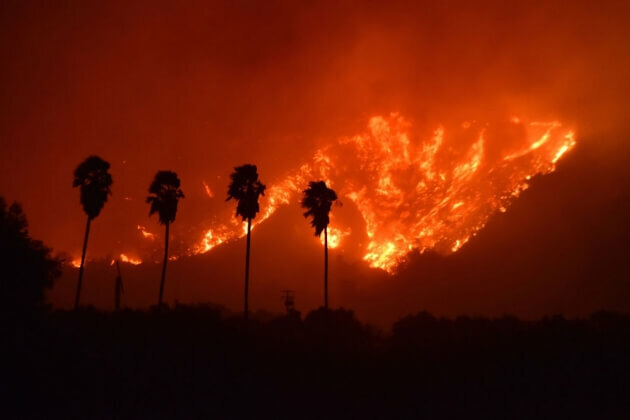 It has burned approximately 252,500 acres thus far, making it already the fourth-largest wildfire in modern California history, destroying at least 930 structures, damaging more than 200 others; and forcing upwards of 100,000 residents to evacuate. GeoLinks has hundreds of telecom towers located throughout the Ventura, Santa Barbara and LA counties that provide service to thousands of both urban and rural families. 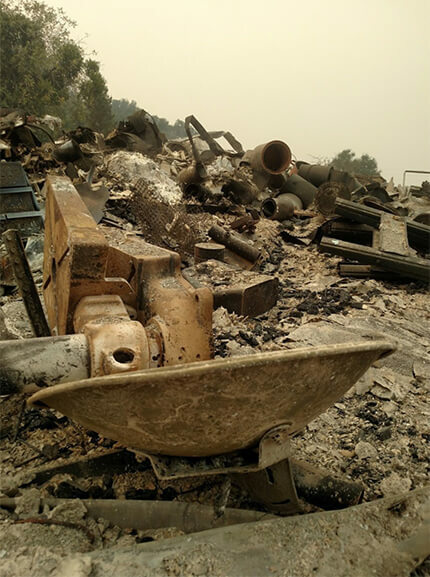 Within just hours of the fires’ inception, the GeoLinks’ team sprang into action, literally battling flames as they worked relentlessly to rebuild burnt down sites and restore service. “Driving through Ventura was pretty surreal, lots of smoke and multiple fires visible from the street. Driving up to the actual tower was disheartening at first, just because of how much was burned; one of the posts holding up the gate was completely destroyed leaving the gate lying on the ground. It was there where we first noticed a fence post smoking…but we continued on. From the top of the mountain, the view was incredible, in a very somber way. Smoke spread in every direction, winds whipping sand and ash all around us. Although, we knew what we were doing was important, so we got to work and had the completely destroyed site back up and running in just a couple hours. We then started our trek back down the mountain when we noticed that same smoking fence had grown to multiple enflamed posts threatening the surrounding area. We immediately turned around, went back to the tower site where we had stored a fire extinguisher, and returned to put out the fires. It was a real-life example of how quickly these fires can spread…” — Personal Account Shared from GeoLinks’ Infrastructure Technician. To date, the GeoLinks team has already repaired 12 destroyed sites throughout Ventura and Ojai accounting for more than 500 square miles of coverage area. 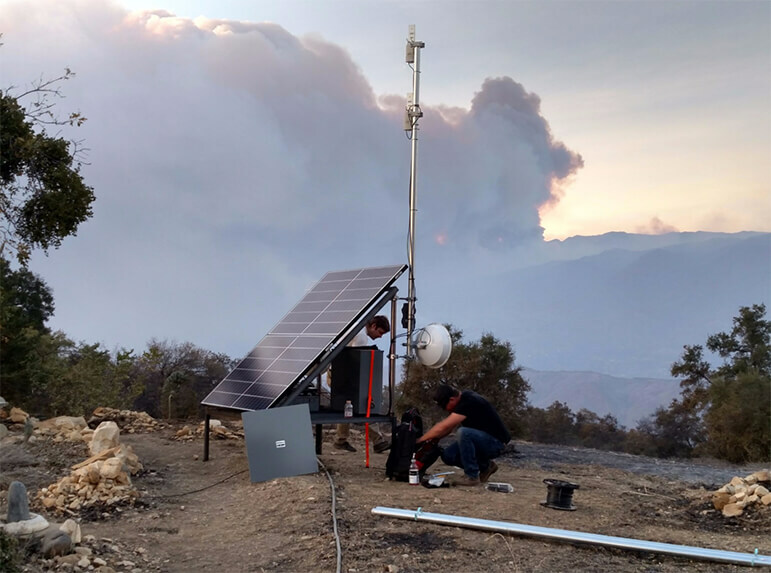 However, the Thomas Fire continues to wreak havoc at only 35% containment requiring the GeoLinks’ team to continue to work around the clock to maintain service. 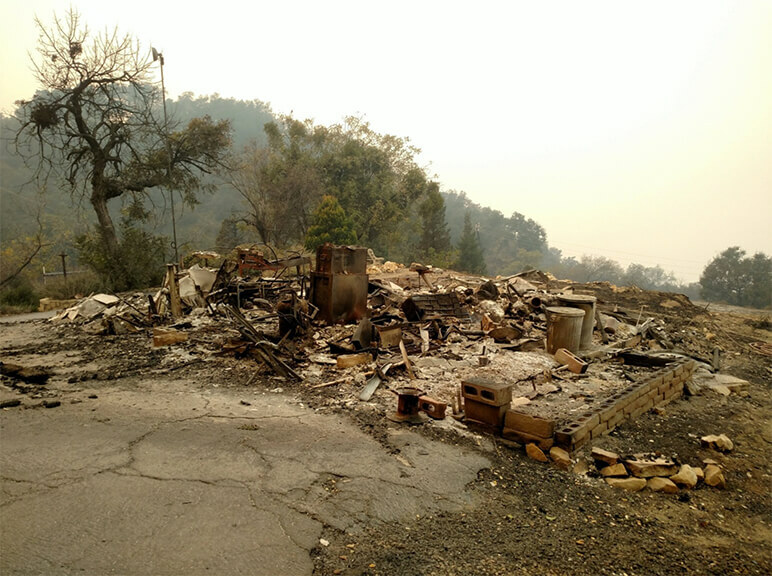 Outside of the field, many GeoLinks employees have been personally affected by the fire as well, some even losing their homes. Ultimately, this ongoing natural disaster has affected both the company and surrounding communities in every way possible. Check back soon for further updates, but in the meantime please visit the below link if you wish to support and give back to those directly affected by the Thomas Fire. 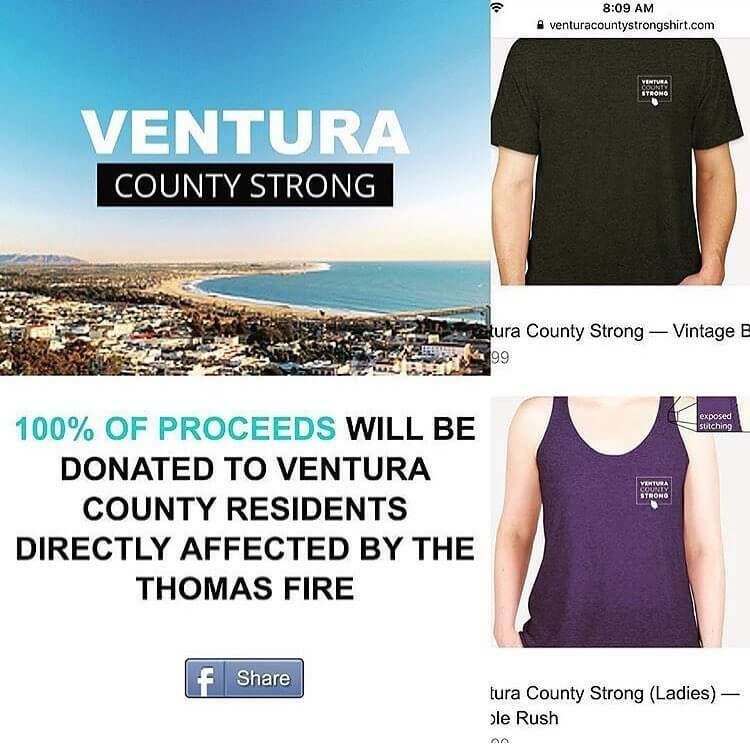 Created by GeoLinks’ employees Lexie Olson and Lindsey Ditchfield, 100% of proceeds of these “Ventura County Strong” shirts will be donated to Ventura County residents directly affected by the Thomas Fire.